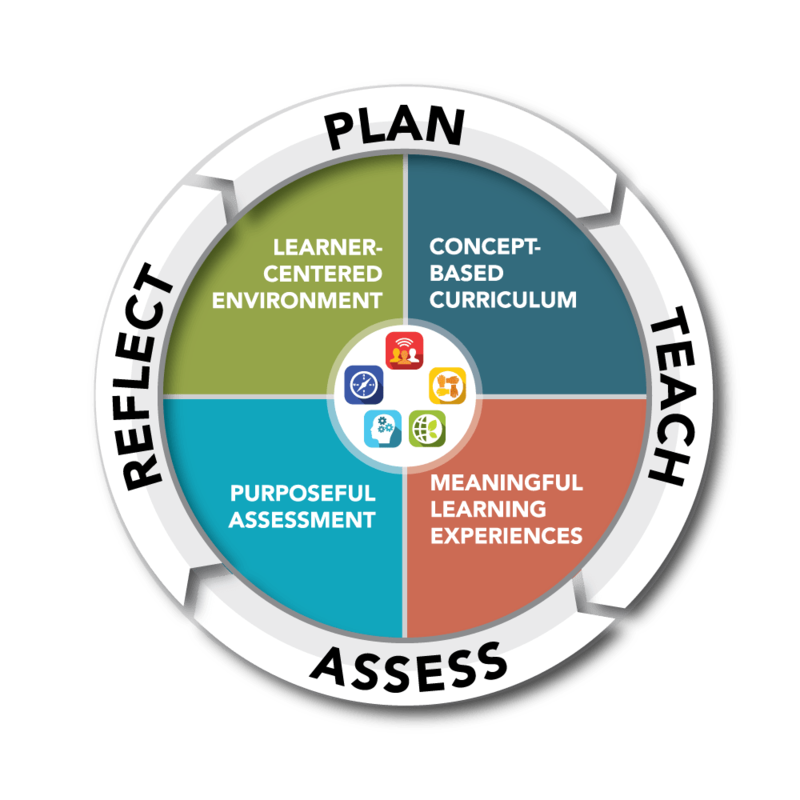 I spent the last three years teaching in Fairfax County, Virginia, where we participated in an initiative to promote authentic learning through a project based model of instruction. The goal was for students to solve a big problem by making connections between five different projects. They would collect artifacts throughout the projects and compile them into one collection to be shared with the community at the end of the year. Our 5th grade team was one of the first groups of elementary students in the county to pilot the Project Based Learning initiative. In order to kick things off, we needed to define the central question to be explored throughout the projects. We decided that students would examine why the blue crab population of the Chesapeake Bay was decreasing. In order to grasp the concept of interdependence, students created an original artifact that represented their sense of relationships within a community. We then had to decide how the students would collect and display their work throughout the project. It became the grade-wide plan to curate an online portfolio through Google Sites. Students would use Sites to collect, display, and reflect on their new knowledge, in order to share it in a student-led showcase at the end of the unit. Once the theme was set, the students were immersed in resources and opportunities to conduct their research. In order to guide their work, we structured the following quarterly assignments, each centered around the theme of external impacts on water. The Big One – How does the movement of plate tectonics affect water levels? Music Makers – How does water affect the traveling and frequency of sound? Plastic Oceans Project – How does plastic affect the ecosystem of the ocean? In addition to the classwork, we had the opportunity to visit the Chesapeake Bay Foundation in Annapolis, Maryland. Students interacted with experts from the preservation organization and studied the osprey population of the area. 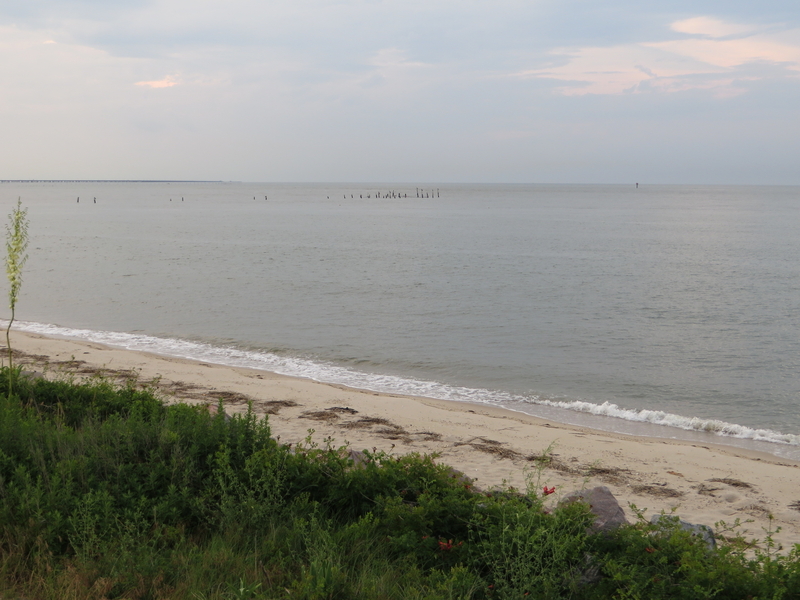 They were also able to collect samples of marine life from the bay and test the salinity of the water. Why are interdependence and interrelationships in science, societies, and other topics important? How am I a global citizen? How am I a creative and critical thinker? The showcase was a big success. Students had their websites on display for the community, including pictures from their trip, reflections on their findings, and a statement that summarized the bigger picture. Their months of research allowed them to speak confidently about the external causes that may be affecting the blue crab population. Making the transition from more traditional methods of assessment into a project-based mindset took some getting used to. The logistics had to be thought out carefully, but once we were organized and the students were up and running, the engagement was like none I had ever seen. Implementing PBL into the classroom empowered students to share their knowledge in various forms, allowing student creativity to shine in so many ways. Along with the big concepts of the unit, students took away the idea of how important it is to be able to explain and reflect on their thinking. A true portrait of success. I would like to tell you a story. It is about my son when he was in fourth grade. By the time Zach reached fourth grade he said he hated school. This wasn’t entirely true. All evidence suggested he loved gym, recess, lunch in the cafeteria, and the bus ride to and from school. Unfortunately, by fourth grade he didn’t like reading or writing or much of the academic side of school. These likes and dislikes were well-known to his teacher by the time the first round of report cards were issued. Around this same time, the teacher introduced the annual penny book project: telling the story of every year of his life. How was I going to get him to do this?! Thankfully, Zach’s teacher was as interested in Zach’s happiness and success as I was and when I presented her with a new idea, she agreed: While still meeting all of the curricular objectives and documenting all of his work, Zach would complete the project in a different way. He collected pennies from each year of his life. He curated and scanned photos from family albums. He video recorded interviews with friends and relatives. He organized his ideas in a storyboard and created a digital movie of his life. It included every penny, his voice, a soundtrack and credits. I don’t think he was ever been so proud of any school project. This was in 2007. 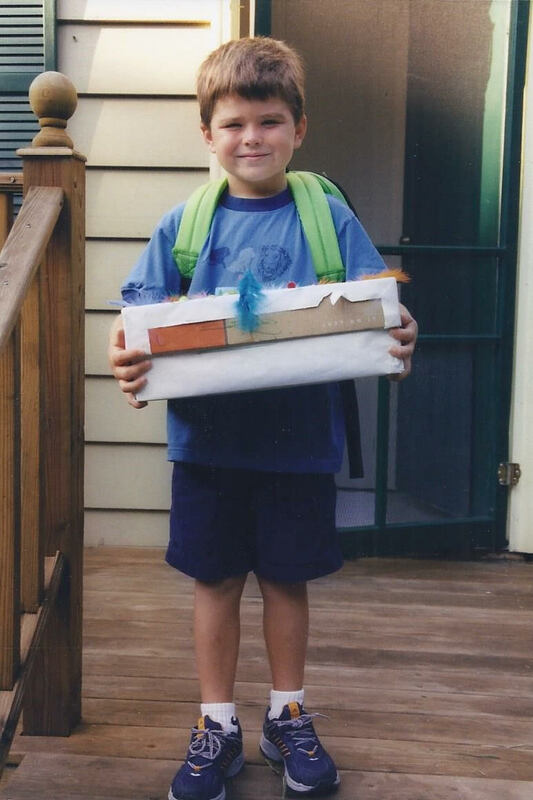 When Zach brought his project CD and his box of pictures, pennies, and storyboards to school, the teacher played his video for the class. Then she called me to say that when she watched Zach’s movie she cried. “He had this in him all this time,” she said. His teacher asked if I would come to the school and show her how to make a movie like that. I politely declined, and suggested that Zach would be happy to show her anytime! Finding meaningful ways to tell our stories is so important. Storytelling itself is a very human thing to do. Cave drawings are the stories of our very early ancestors. The printing press enabled the widespread distribution of stories. Some cultures have traditions of oral storytelling passed down through generations. We share and listen to learn about ourselves and each other. The scientific development of photography in the mid-1800s resulted in widespread making of daguerreotypes so people could leave them as calling cards when they visited one another’s homes. Business cards, school pictures, home movies. The list goes on of all the myriad ways we make ourselves known and build connections with other people, document our existence, and tell our story. 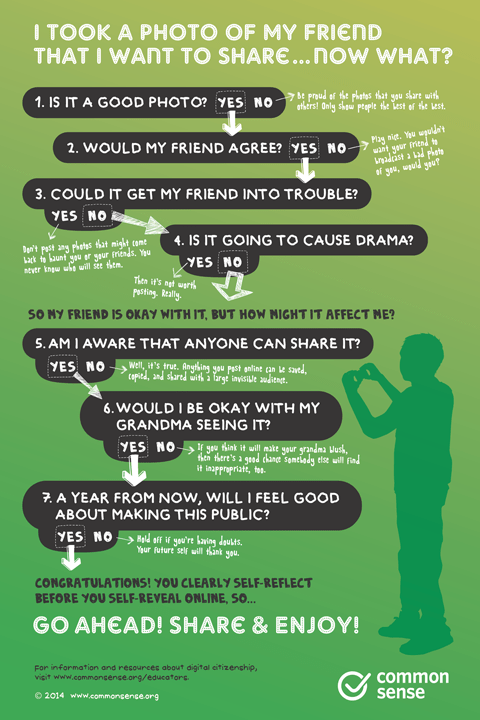 When using social media in the classroom, be sure to teach safe practices. Common Sense Media is a great place to go for easy-to-use resources. Social media platforms know how much this matters to us. They enable us to combine our pictures and words into the stories of our important moments. We and our students have been using social media to tell our stories ever since we subscribed to those platforms. The actual story format started in 2013 with SnapChat stories and other services have followed suit including Instagram in 2016 and Facebook in 2017. Those aren’t the only ways we tell stories; Skype has highlights and YouTube allows us to create reels. Technology may change, but our need to know and understand one another, build common ground, grow empathy, and work out differences is eternal. And we do that through our stories. When it comes to engaging our students in sharing their stories, the possible formats are endless! Within the Google Apps realm students can write and illustrate interactive stories in Slides, Docs, Sites, Draw, Maps or Tour Creator. If you live in the Apple world, there is Keynote, Pages, and iMovie. 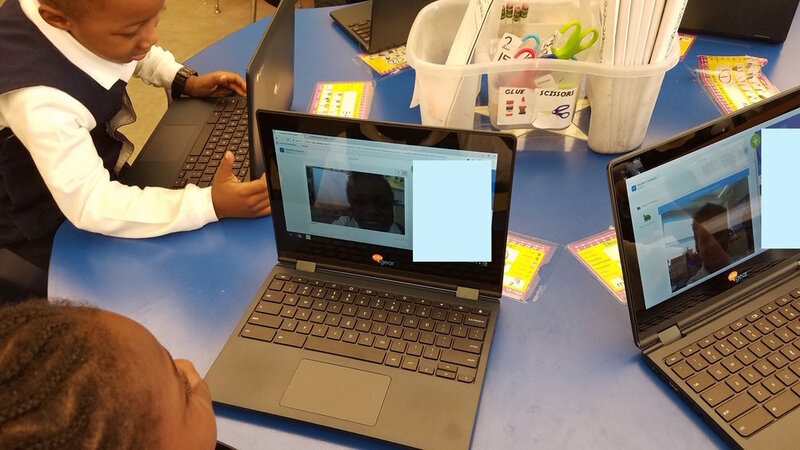 Regardless of platform, students can record themselves and publish to YouTube where channels and playlists host both videos students make and others they curate. Beyond gSuite and Apple services, students can tell video stories in Flipgrid, they can annotate visual stories in ThingLink, and they can publish ongoing stories as podcasts. And when we consider the possibilities for synchronous and asynchronous interaction, students can share stories in Twitter chats, in private Facebook groups, and in Google+ communities. Building an audience for their stories by publishing them not only validates the importance of their experiences, it fosters interaction with new people which expands their horizons and their learning community and allows for authentic, embedded lessons in discourse and digital interactions. Whether your discipline is ELA; Math; Social Studies; Science; World Language; Health; PE; Fine, Applied or Performing Arts; or Guidance and Counseling, students of any grade level can tell stories that connect their lives and experiences, their hopes and concerns, to the content and skills you are teaching. Imagine how students of math would tell the stories of their lives as a conic section! Students could use historical map imagery to tell the story of different generations of people who have lived in their neighborhoods. How about casting themselves as the hero on a journey to save an endangered species? Maybe they need the recipe for the antidote to a terrible, horrible, no good, very bad day. Whatever the subject, whatever the topic, their stories will be personal and the learning experience will be transdisciplinary. By telling their stories, students develop a sense of self. So often, many of my high school students struggle with their college essay. Their frequent refrain: “Nothing really important has happened to me. I don’t have anything to write about.” Of course, this isn’t true. Maybe nothing tragic has happened to most of them, and for this they are thankful, but they have stories to tell, nonetheless. We have to empower them to recognize and give their voice to those stories. It is through the telling of their stories that they share aspirations and inspirations which lead them to set goals and make plans. Through sharing their stories they find their place in their community. They begin to seek new connections in wider circles and apply themselves to improving those spaces for the good of us all. After 23 years as a high school social studies teacher, Jacquelyn is now a high school library media specialist. She is a member of the #SWE17 Google Certified Innovator cohort, as well as a local activator for Future Design School. Jacquelyn is also the co-author of News Literacy: the Keys to Combating Fake News. She tells her stories on her blog and via social media. How do you want your students to feel when they enter your classroom? Is your classroom a place where they feel supported to meet their goals and want to support their peers? It was near the end of the first day of school a few years ago when I heard crying coming from the rug area. “What’s wrong Emmanuel?” I asked. “I don’t like to share!” Emmanuel said, refusing to let go of the red train and pouting. “But when you share, doesn’t it make you feel happy?” I asked. “Sharing doesn’t make me feel happy!” Emmanuel cried. Luckily, it was almost time to clean up and Emmanuel’s mom was able to help us convince him to put the train down. Yet, I couldn’t help feeling like I had failed him. Hadn’t we spoken about sharing earlier that morning? Hadn’t we discussed the rules with our class? Wasn’t that enough? As teachers we spend so much time getting our classrooms ready – planning the routines and procedures, units and lesson plans. Yet, it can be easy to forget how important it is to plan for and continually nurture a positive climate and culture in our classrooms. For the transformative change we hope to make happen in our schools and classrooms, students have to feel part of a community and safe to take risks, stretch and grow. With that in mind, here are a few tips and resources to support you in developing a positive classroom culture and climate this school year. Remember, classroom culture and climate develop over time and can be worked on at any point during the school year. So if you have just returned from Winter Break and are noticing your community needs strengthening, don’t be discouraged! Try out some ideas of the ideas below! Please note that this is by no means meant to be an exhaustive list! Think of these ideas as starting points. Programs like Seesaw not only honor students individuality, they are also fun to use! Incorporate activities that give students an opportunity to build relationships and a sense of belonging daily. One way to do this is by having a Morning Meeting each day that includes specific activities to help students get to know each other and build trust and understanding. In my classroom, our morning meeting consisted of a greeting, team-building activity, share and schedule of the day. The Morning Meeting Book, by Roxann Kreite, is one great resource for starting or revamping morning meeting in your classroom. Give students an opportunity to take an active role within the classroom by soliciting their input whenever possible. Easy ways to do this include asking for their opinion on classroom jobs and giving them an opportunity to help develop the classroom norms and rules. 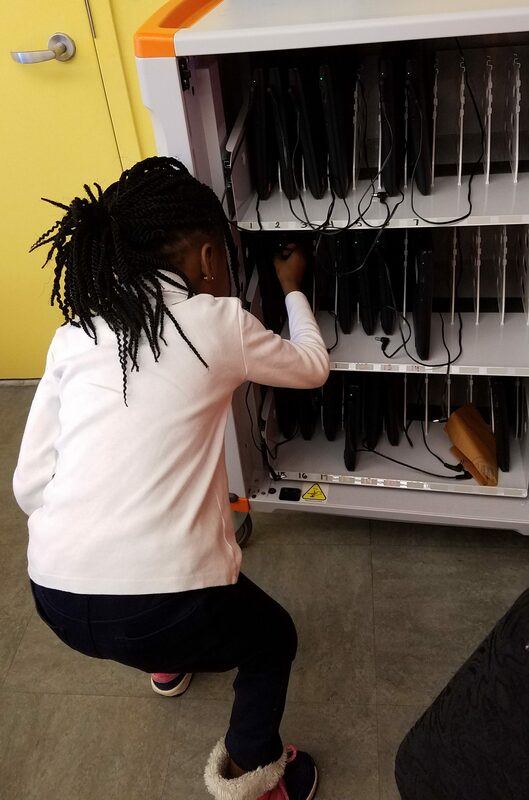 The students in this Kindergarten classroom are responsible for putting away their Chromebooks independently of the teacher. These small steps can help create a shared space where students feel (and are!) integral to the classroom community. Here is an editable community helpers document that can be used with students to brainstorm classroom jobs. Plan activities that help students understand that learning is a process and that making mistakes and failing is okay. Be sure to model this mindset in your teaching as well! One way to support development of a growth mindset is by helping students set goals, tracking (very important!) progress towards them, and celebrating successes. Sing about The Power of Yet with younger students! Then discuss and write about goals in a digital space using padlet or the question feature in google classroom. Celebrate when students meet their goals by taking pictures and loading them to the class stream on Seesaw or class story in Class Dojo. Have students reflect on how they overcame a challenge by setting up a ‘perseverance’ grid in FlipGrid. Share class-wide successes with families and the wider school community by creating a classroom twitter account. Not surprisingly, studies have shown that a positive school culture and climate help boost student achievement. So don’t wait, work on building that positive classroom culture and climate today – and let us know how it goes! Have a question? Visit our online community, the Innovative Teaching Co-op.